Idomeneo came from the deepest necessity of Mozart’s creativity; from the need to express the new-found maturity of his work, from the acute pain of his mother’s death and the impossible relations with his father. It is a work of tradition, re-evaluation, recreation, and yet also of innovation and of the Zeitgeist. Mozart shapes the old world of the gods into his own world of the Enlightenment, an age of reason, and creates a living theatre of a depth that he had previously never conceived in his dramatic works. Idomeneo is a turning-point in the career of Mozart and is a decisive step away from his juvenilia towards the more refined and an individual expression of his mature works. It is a work of theatrical integrity characterised by a dramatic continuity not seen in Mozart’s music previously; the action on stage is constant and the narrative is ceaselessly perpetuated by visceral music that is as tender as the tragic Ilia, as hysterical as the irascible Electra, and as terrifying asNeptune’s sea-monster. In this work Mozart was a true dramatist, as well as a master composer, and it was this opera, and the experience it gave him, that enabled Mozart to further his craft to create his later operatic masterpieces with Lorenzo da Ponte and Emanuel Schikaneder. It is an opera in which fate conspires against man and man defies the gods; but, unlike in the original myth (and indeed the 1712 libretto on which Mozart’s Idomeneo was based), man is not brought to a reckoning by the gods, but spared by reasoning. This is not the Greek drama of Euripides or Aeschylus, but rather a drama of the Enlightenment, where man is the subject of the benevolent Christian God, or is not the subject of any god at all. Humanity and forgiveness drive the drama of this opera and in this respect Idomeneo is an opera of its time; man is not ruled by gods, but is an individual living life according to his own moral principals. This theme of forgiveness is at the heart of the work and transports the ancient Greek myth into the modern, cosmopolitan world of Mozart. A long time elapsed between Mozart’s initial desire to write a new opera and the first performance of Idomeneo, on the 29th January 1781. This long genesis was not out of choice, but rather because of events at the Mannheim court. It was in Mannheim, after playing in a gala concert on the 6th November 1777, that Mozart expressed his desire to the elector ofPalatine, Carl Theodor, to write an opera for the opera group there. This could well have happened but that soon after Theodor had to hurriedly leaveMannheim forMunich, to secure his attainment of the Wittelsbach succession inBavaria. The court was in disarray for some time as it relocated toMunichand Mozart had to accept that any opportunity of being granted an opera commission from the court would have to wait. But in the summer of 1780, after more than two years of waiting, Mozart was finally given the opportunity to write the main opera for theMunichcarnival for the following year. Theodor wanted a large scale opera that would add to the illustrious tradition of opera at theMannheimcourt; he wanted a serious opera that was musically and dramatically engaging. The Mannheim court was renowned for its famous orchestra – generally considered the greatest inEuropeat the time – and for its host of talented directors, singers and stage machinists. These were the optimum conditions for a composer to be working in, both creatively and professionally, and Mozart was probably never to work with such good musicians again. The action of Idomeneo takes place in the aftermath of the Trojan war. The first scene opens with the bereaved Ilia, daughter of the defeated King Priam ofTroy, mourning the death of her father and soliloquising about her confused love for Idamante, the son of Idomeneo, king ofCrete and Priam’s enemy. Idamante (who loves Ilia) and Ilia represent a younger generation, a generation which espouses peace; this is why, at the end of the opera, they resolve the conflict with the god Neptune, because they are essentially moral characters who denounce violence. Electra, the daughter of Agamemnon, loves Idamante and is jealous of the affection he shows for Ilia. She is selfish and short-sighted throughout the opera. Arbace, the chief aide of Idomeneo, informs all that Idomeneo is lost at sea. This turns out not to be the case, as the sea-godNeptunehas spared his life, but in return asks him to sacrifice the first person he sees when he reaches shore. When he reaches the shores ofCretehe meets a man whom he does not recognise at first. It transpires that the man is his son, Idamante, whom he has not seen in many years. He is grief-stricken and flees. Idamante does not know the reason for this and is upset. At the end of the first act, Cretan troops, reunited with their families, praise Neptune, oblivious of the cruel fate thatNeptunehas brought upon Idomeneo and Idamante. In act two Idomeneo seeks the council of Arbace, who suggests that he send Idamante into exile, perhaps under the pretence of accompanying Electra back toArgos, her home. This is reluctantly agreed upon and Idomeneo accompanies his son to theportofSidon, to bid farewell to him. He implores him to study the art of ruling when he is away, which foreshadows Idamante’s eventual coronation. But as he is about to leave the port, a sea-monster appears and wreaks havoc upon the harbour. Idamante is still unaware of the sacrificial pledge and Idomeneo offers his own life to spare his son’s. Act three opens with Ilia and Idamante eventually expressing their love for one another. Idomeneo still will not tell Idamante that it is he who needs to be sacrificed to appeaseNeptune. The High Priest of Neptune implores Idomeneo to impart who the victim is to be; when he admits that it is to be Idamante everyone is horrified. The priest ofNeptuneprays that Idamante may be spared, while Idamante has accepted his fate and prepares for the sacrifice. Idomeneo is about to sacrifice his son, when suddenly Ilia stops him and offers herself in Idamante’s place. The voice ofNeptuneis then heard (accompanied by the religious sound of a brass quintet), who stops the proceedings and states that Idamante may be saved from sacrifice if Idomeneo abdicates and Idamante and Ilia take the throne. Equilibrium is finally reached, at the end of this turbulent opera, and the people ofCretecelebrate. Some scholars have been at pains to suggest the possibility that Mozart chose the subject of Idomeneo himself, rather than having it suggested to him by Theodor. The reasoning being that Mozart had suffered the rejection of Aloysia Weber in Mannheim (whose sister, Constanze, he would later marry), the death of his mother during his time in Paris (in the summer of 1778) and the fractious relationship with his father, Leopold; and so parallels can be drawn between Mozart’s life and that of Ilia, whose father dies before the action of the opera; of Idomeneo and Idamante, whose father/son relationship is brought to near breaking-point; and of Electra, as her love for Idamante is rejected. Although such an argument is compelling and indeed the parallels are strong, it is just as likely that Theodor himself suggested the idea. Theodor was steeped in European culture, had a huge library, and had, for the past 30 years, been commissioning and promoting new operas of the highest standard – he had, for example, commissioned J.C. Bach; both Temistocle (1772), and Lucio Sila (1775). He would have been very well aware of the current trends in opera and its recent history; so it is very likely that he was already aware of Antoine Danchet’s 1712 tradédie lyrique, Idomenée, which had been set to music by André Campra, and which Mozart and Varesco’s opera was to be based. The origins of the subject of the opera may be in contention, but it is certainly known that Mozart chose his own librettist, Giambattista Varesco (1735-1805), a chaplain at the Salzburgcourt. He was a poet and a priest and had worked with Mozart previously in editing Metastasio’s libretto Il re pastore for the 19 year-old composer in 1775. The professional relationship between the two men seemed near the brink of collapse at almost every stage in the composition of Idomeneo – as can be seen in their extensive correspondence – and Varesco was very unsatisfied with the patronising treatment he received from Mozart. Nevertheless the two men worked together again on the abortive opera seria L’Oca del Cairo (The Goose of Cairo) in 1783. Antoine Danchet’s tragédie lyrique was born out of the French neo-classical tradition of the 17th century that was epitomised in the plays of Jean Racine (1639-99), Pierre Corneille (1606-84), and Molière (1622-73). It was a tradition which drew on the ideas and plots of the Greek tragedies of Euripides, Aeschylus, and Sophocles. The French tragedians of the 17th century did not change the plots or characterisation a great deal, but rather infused the myths with their own unique poetry – indeed Danchet, half a century later, did this also; Danchet’s structure and plot follow the Greco/Roman myth (mentioned in both the Iliad and the Aeneid). Naturally Mozart cared about the performance of the opera and he worked closely with the singers during rehearsals and workshops. But he also cared dearly about the acting; the whole work itself needed to be perfect, not simply the music. On the 8th November 1780 he wrote to his father saying of his Idomeneo, Anton Raaff, that he was “like a statue” and complaining that Dal Prato, his Idamante, was appearing on stage for only the first time. Mozart cared so much about these issues that were within the remit of the director, because he envisaged the opera as a total entity. Great music would not suffice if the acting was terrible. This insistence on perfection also encompassed the libretto and led to many demanding, and at time patronising, letters to Varesco: “The aria [‘Fuor del Mar’, Idomeneo, Act II] is not at all what we wanted it to be… Picture yourself in the theatre, and remember that the voice must be awe-inspiring. Well, how can that effect be produced if the speech is too long?”. The demands for changes, at time vague, at times more specific, continued up to the first performance, on the 29th January, 1781. It’s a wonder that the working relationship between the two men didn’t fall apart completely. Mozart frequently treated Varesco, 21 years his senior, as if he were an idiot, which by no means he was. “The scene between father and son in Act I and the first scene of Act II, between Idomeneo and Arbace, are both too long. They would certainly bore the audience.. I would like the Abbate to indicate how they may be shortened, otherwise I shall have to shorten them myself.” Such precocious and inflammatory statements such as this aimed to admonish Varesco; had it not been for the fact that all correspondence had been passing the cautious eye of Leopold, then it’s hard to imagine the librettist putting up with this kind of abuse. Leopold deserves credit in the creation of the opera for acting successfully as conciliator between composer and librettist. One of the ways that Mozart most clearly demarcates the structure of the opera and expresses the drama is through orchestration. The terrifying chorus ‘Qual nuovo terrore?’ at the end of Act II, as Neptune’s sea-monster appears in the port of Sidon and prevents Idamante and Electra from leaving for Argos, contains music that is unique in it’s sheer violence in Mozart’s entire oeuvre. The orchestrational interest is most clearly in the use of the ferocious piccolo writing. The music is of electrifying energy, enhanced by the cataclysmic diminished 7th chords sung by the chorus (ex.1). The uses of muted trumpets, in the march in Act II, define space, as they are heard as in the distance. This explodes the theatrical precincts of the opera and creates a dramatic tension between the seen/unseen and the heard. The use of mutes, it’s worth noting caused a practical problem for Mozart, as he could not obtain any in Munich; he wrote to Leopold with, “For the March in Act II, which is heard in the distance, I need mutes for trumpets and horns”, they were duly sent, and had to be borrowed from the night-watchmen of Salzburg to be copied by a blacksmith in Munich. Indeed the brass writing in Idomeneo is perhaps the most striking element of the orchestration; this is especially the case in Act III, when the voice of Neptune is heard. Neptune, god of the sea, who, having necessitated the sacrifice of Idamante – the main conceit of the opera – appears at the opera’s close to withdraw this sacrifice and grant clemency. The voice of a god certainly could not be presented dramatically and musically in the same manner as that of any other character, and indeed Mozart creates the voice of Neptune with a most startling sound which is unique in the opera. This is not the ethereal descent of the Holy Spirit in Beethoven’s Missa Solemnis, but this is the voice of a powerful, traditionally bellicose Greco-Roman god; the voice is accompanied by the weighted and regal sound of a brass quintet (ex.2). The sound of the trombones is particularly striking. One also can’t help but hear a relation to Renaissance church music; the sound has a religiosity to it, and Mozart uses the associations of the listener to imply the significance of the god’s presence. Electra, although the least well developed character in the opera in many ways, provides a fine example of how Mozart successfully achieved a marriage of the music with the drama. The vocal stammering and hysterical leaps (ex.3) in Electra’s rage-aria, in Act I, ‘Tutte nel cor vi sento Furie del crido Averno’, expresses her state of mind at that point – she is jealous of the feelings which seem to exist between Ilia and Idamante. The world of Greek myth which is being evoked in the Danchet is one in which the gods control the fortunes of man and where fate is inescapable. The crux of Mozart and Varesco’s Idomeneo is that fate is not definite and that human reasoning, repentance, and self-sacrifice can bring about forgiveness. No doubt Abbé Varesco had the benign Christian God in mind here. So the opera takes the Greek tragedy and turns it into a Christian parable about the magnanimity of God and the need of man to pray for forgiveness. Indeed one might even infer something of the importance of the church in Idomeneo; it is ultimately the priests who, praying for some form of appeasement other than Idamante’s sacrifice, alterNeptune’s sacrificial necessity. It seems not inconceivable that Varesco, a clergyman himself, would stress the importance of the church and the clergy in man’s dealings with God. It is also impossible not to be put in mind of a pre-Christian biblical parable when considering the sacrifice which Neptunerequests of Idomeneo. The parallels with Abraham’s near-sacrifice of his son Isaac are very compelling: “Take thy son, thine only son Isaac, who thou lovest, and get thee into the land of Moriah; and offer him there for a burnt offering upon one of the mountains which I will tell thee of”. [iii] Abraham, of course, is about to carry out the sacrifice, before he is stopped by an angel of God; like Abraham, Idomeneo is about to kill his own son, but is stopped by Ilia, who offers herself in Idamante’s place. It is the priests ofNeptune that placate the sea-god and bring clemency for Idamante, with the prerequisite that Idomeneo abdicates and allows Idamante and Ilia to take the throne. Although less well known now, another Old Testament parable is even more poignant, that of Jephtha, a Judge who led Israelites in battle against the Ammonites. “Jephtha vowed a vow unto the Lord, and said, If thou shalt without fail deliver the children of Ammon into mine hands, Then it shall be that whatsoever cometh forth of the doors of my house to meet me, when I return in peace from the children of Ammon, shall surely be the Lord’s, and I will offer it up as a burnt offering”. Jephtha took a major victory over the Ammonites, but the first person he saw after his success was his only daughter. Jephtha, “opened my [his] mouth unto the Lord, and cannot go back”,[iv] and so sacrifices his daughter as a burnt offering. The tale is bitterly tragic and was used by Handel in his oratorio Jephtha (1751); in the Handel, Iphis, Jephtha’s daughter, is saved. The injustice of Idomenée was cast aside for Idomeneo; Metatastio’s dramas did not give voice to such cruelty. The tragedy of Varesco’s libretto is lesser than Danchet’s, but this better suited Italian opera. Idomeneo opens with the solitary, bereaved figure of Ilia. The mixed and confused feelings which she expresses suggest something of the confused situation of the whole opera: the man who kills her father (i.e. Idomeneo) saves and preserves her, and she loves his son; later, to save himself, Idomeneo must promise a human sacrifice. The emotional struggle of Ilia becomes the moral struggle of Idomeneo. Vinto il nemico. To see the enemy conquered. Vegga il vinto felice. Let us see the vanquished happy. The moral failings of Idomeneo are reconciled by the moral strength and willingness of self-sacrifice of Ilia and Idamante. This is what Varesco and Mozart brought to Danchet’s libretto. Yet the ‘sinner’, Idomeneo – if that is what he is – is granted clemency; it is not just Idamante who is spared, but also Idomeneo is spared killing his own son, but, importantly, not through his own actions. Varesco removed from Danchet’s libretto the character of the god Venus and in doing so removed the motive for the anger of Electra, who, goaded by Venus, to some degree orchestrates the final tragedy of Idomenée; and it is Venus who creates the storm that leads to Idomeneo making his terrible oath. This leaves an absence of moral impetus and weakens the structure; Varesco fails to ultimately explain the rage and jealousy of Electra and does not morally justify the reason the gods would request such a terrible price for Idomeneo’s life – in Danchet the reason is that the cruel Venus desires to destroy the house of Crete. Don Neville argues that, “[Varesco] turned the French tragédie lyrique, with appropriate Aristotelian foundations, into a moral drama along Metastasian lines… in performing this task, he considerably lowered the level of supernatural influence apparent in Danchet’s plot, thus transferring greater dramatic significance to the action at the human level”. [vi] But in so radically altering Idomenée did Varesco confuse the genre of the opera? If so, does that matter? The god Neptune unseats Idomeneo from power in order to renew the Cretan line. Similarly Mozart and Varesco remove the old-world gods from power in order to modernise the drama. I feel that this empowerment of humans and the possibility of redemption through human compassion and selflessness is what lie at the heart of Idomeneo. The society of the opera is one which is distinctly Humanist and which does not function through worship, sacrifice and, more broadly, religion, but rather one which is driven by empathy and by love: the love of Ilia for Idamante, and Idamante for the Cretans and his father, contrasted with Idomeneo’s fearful love of his son. Idamante and Ilia seem to be the harbingers of a brave new world in which the gods of the ancient past no longer control the fate of humans, and in which the sacrifice of an innocent is not necessary to bring forgiveness and prosperity to mankind. This is the view of Hans Neuenfel, the controversial opera director, who in 2003 staged a new production of the Idomeneo at the Deutches Oper Berlin. In Neuenfel’s production Idomeneo staggers onto stage carrying the decapitated heads of Jesus, Buddha, Neptune, and Mohammed – the production was famously cancelled in 2006 due to a perceived security risk from militant Islamist groups. Neuenfel is clearly highlighting the idea that, in Idomeneo, the gods are made obsolete by the selfless and morally virtuous actions of Idamante and Ilia. It is of course untrue to suggest that Varesco, a clergyman, was proposing such an atheistic argument, but Neuenfel’s reading is valid. Like Mozart and Varesco, he is modernising the drama. 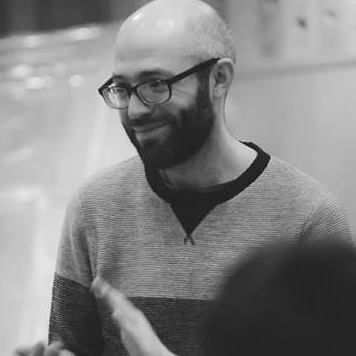 Christopher McAteer is a composer, writer, and academic from the north coast of Northern Ireland. He is currently studying a PhD at York University, Toronto, focusing on the political aesthetics of the Arctic.